March 17, 2017 (Updated) - Archaeologists working in an eastern Cairo slum unearth what may be a statue depicting King Psammetich I, who ruled Egypt from 664 to 610 B.C. Editor's Note: The original version of this video, published March 10, indicated that the statue was likely a depiction of Pharaoh Ramses II, which archaeologists initially believed to be the case due to its proximity to Ramses II's temple in what was the ancient city of Heliopolis. New evidence has led archaeologists to believe the statue is more likely to be that of Psammetich I, though further analysis will need to be conducted. 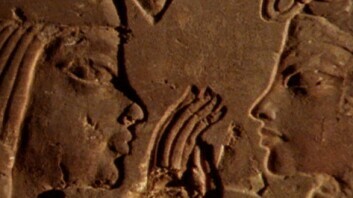 Read more about the ancient statue discovery and the evidence that led archaeologists to believe that it is a depiction of Psammetich I rather than Ramses II. 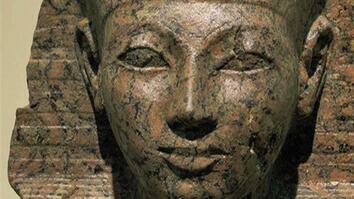 Archaeologists have uncovered a statue believed to depict King Psammetich I, ruler of egypt from 664 to 610 B.C. It could be the largest statue ever discovered from Egypt’s late period. The 26-foot statue was submerged in mud in what was the ancient city of Heliopolis. 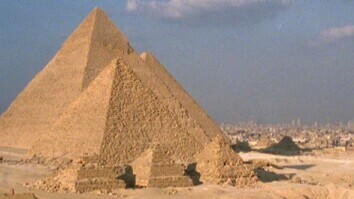 The site is now a slum in what is present day eastern Cairo. Archaeologists have been salvaging the site, which is threatened by construction and waste dumping.